Why shoot on a Prime Lens? Prime lenses have a fixed (one) focal length. You can’t zoom in or out. You get one viewing distance, and that’s it. A standard prime lens is the 50mm “normal lens.” Its focal length roughly matches where your eye focuses, giving you an image that’s fairly close to what’s in front of you. 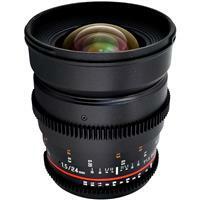 Prime lenses come in all sorts of different focal lengths from extreme wide angle or fisheye to telephoto. What is the advantage of using a prime lens? With Primes you get higher quality images. This is because prime lenses have a much simpler optical design since they aren’t built to zoom. What this means is that there is lense elements or internal lenses which leads to fewer visual defects and aberrations so you typically get a much less distortion and more technically correct image when you shoot with a prime lens. Another great thing about Primes is they have a better wide open apertures (low f numbers) at a lower cost than zooms. A lens with low f numbers is called a fast lens. A fast lens means you can capture images with shorter depth of field and also shoot with less light or at night and get better results. With few moving parts, prime lenses are more compact and lighter than their zoom siblings – perfect if you want to travel light. 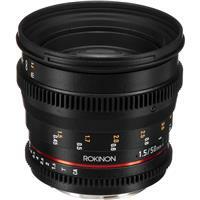 I just came across a great deal on Rokinon lenses. They are up to $200 off for each lenses until June 6th 2017. 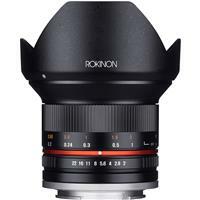 This deal is across the wide selection of Rokinon lense range which includes Sony E Mount, Fuji X Mount , Micro Four Thirds Mount.